Als der Arzt Raymond Carver mitteilte, er hätte nur noch wenige Monate, wusste er, es blieb nur noch Zeit für Gedichte. In ihnen findet sich alles aus seinen Stories wieder: die unerwarteten Wendungen, die Lakonie. 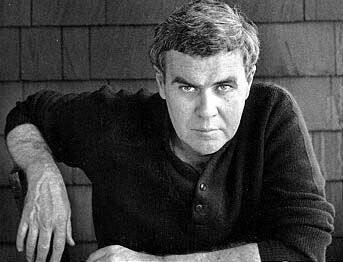 Raymond Carver is widely considered one of the great short story writers of our time. «A New Path to the Waterfall» was Carver’s last book, and shows a writer telling the truth as best as he knows how in the time left to him. The sixty-odd poems in this collection are linked by Carver with selections from other writers, most notably Chekhov, whose work was an inspiration and a guide, and by the cumulative force of the life and death questions he poses in them. As Rilke’s Letters to a Young Poet guided countless readers discovering their true love and work, Carver’s book will guide those in the process of celebrating a limited life and mourning the inescapable end of it. A New Path to the Waterfall is an essential book for those who admire Carver’s work, and testament to the transcendent strength of the human spirit. In her introductory essay, Tess Gallagher, Carver’s companion and fellow writer, lays out the circumstances of their last years together with matter-of-fact grace. Raymond Carver, geb. 1938 in Clatskanie, Oregon, schlug sich jahrelang mit Gelegenheitsjobs durch und konnte sich erst spät ganz dem Schreiben widmen. Sein erster Erzählungsband »Würdest Du bitte endlich still sein, bitte« machte ihn 1976 schlagartig berühmt, »Wovon wir reden, wenn wir von Liebe reden« brachte den endgültigen Durchbruch. Heute gilt Carver als Neubegründer der modernen amerikanischen Short Story. Er starb 1988, kurz vor seiner Aufnahme in die American Academy of Arts and Letters. Zuletzt erschien aus seinem Nachlass »Beginners – Uncut«, die unlektorierte Fassung von »Wovon wir reden, wenn wir von Liebe reden«. Erschienen auf Englisch im Januar 1994. Auf Deutsch im April 2013.